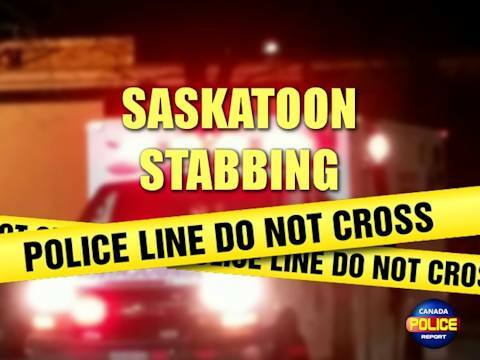 Saskatoon, Saskatchewan – Saskatoon Police are investigating a stabbing which occurred Friday evening at Avenue K South and 20th Street West. At approximately 10:00 p.m, March 15, 2019, Police were called to St. Paul’s Hospital. A 13 year old male was reported to be suffering from a non life-threatening stab wound. The victim told police he had been with other people at the location at approximately 6:00 p.m. that evening when he was assaulted by an unknown male. The victim did not seek medical attention until later. He described the male suspect as 17 or 18 years of age, tall, with green eyes. He was wearing a black shirt, brown pants and green shoes. Anyone with information on this incident is asked to contact the Saskatoon Police Service at 306-975-8300 or Crime Stopper at 1-800-222-8477.